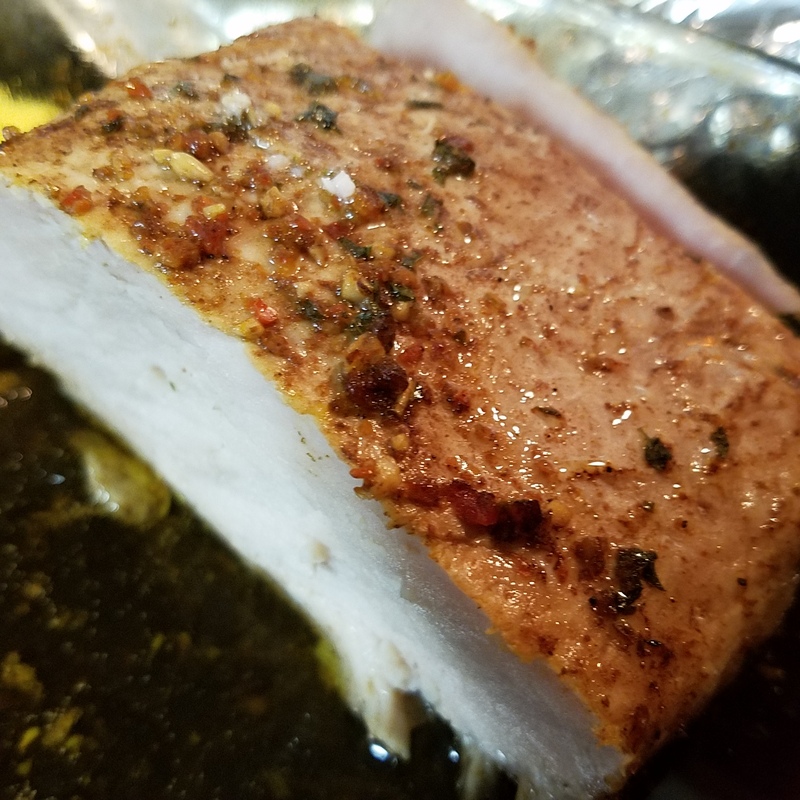 This time I pulled a pork loin roast out of the freezer. I looked for a recipe to use for it, and found a nice, simple one on AllRecipes. One that used balsamic. As you can see, I like simple recipes. As I cooked this, I realized one of the reasons I’m nervous about cooking. I’m afraid of under-cooking meat…. especially pork & chicken. Even though I follow the recipes, AND use a meat thermometer, I have a horrible fear of making my family sick. A ‘phobia’ of preparing meat. Huh. Who knew. One more thing to overcome, I guess. I have to say that this dish was dangerously yummy! I was soooooo good. I made it with an Asiago rice (package), and it went well together. The tang & sweetness of the meat, with the bitterness of the cheese. Yup. Delish! So, I’m slowly getting this cooking thing going. I can do this! I have to apologize, I was so excited, and it was so yummy, I forgot to take pictures. Woops! This recipe came from All Recipes. I did not come up with this. Not only do they have an awesome website, but they have a magazine subscription, and it’s only $5 for the year! I love cooking magazines! You can have it delivered in print, or you can even get it on automatically delivered every month on Kindle. Cool. This recipe only has 4 ingredients. Four! Like I said, I like simple recipes. This one is pretty darn simple. 4 steps. Dissolve steak seasoning in balsamic vinegar, then stir in olive oil. Place pork into a resealable plastic bag and pour marinade overtop. Squeeze out air and seal bag; marinate 2 hours to overnight. Place pork into a glass baking dish along with marinade. Bake in preheated oven, basting occasionally until the pork reaches an internal temperature of 145 degrees F (65 degrees C), about 1 hour. Recipe by: Melissa S. "A zesty, yet simple meal with an olive oil and balsamic vinegar marinade. A crowd pleaser!" 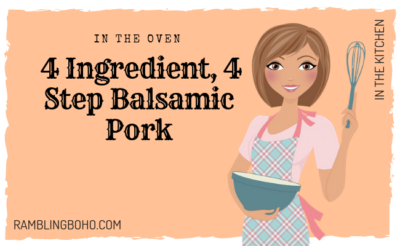 Balsamic and pork pair well together. What do you think?